Canadian airlines are urging Ottawa to delay the Jan. 1 imposition of the federal carbon tax, which they warn will boost airfares and push passengers to airports across the border. Canadian airlines are urging Ottawa to exempt them from the Jan. 1 imposition of a federal carbon tax, which they warn will boost airfares and push passengers across the border to rival carriers and airports. The National Airlines Council of Canada sent a letter to three federal ministers Friday cautioning the government about the reduction the levy would cause to revenues as well as marginal domestic routes. "A carbon tax is probably the worst tool that you can envisage for aviation if you want to reduce emissions," said lobby group president Massimo Bergamini in an interview. Prime Minister Justin Trudeau has committed to impose a carbon tax on provinces that lack their own form of pricing for greenhouse gas emissions. As it stands, airlines will be required to pay the levy on flights within provinces that fall under the federal system. Meanwhile the government plans to work with jurisdictions to adopt a pricing scheme for interprovincial flights. The governments of Saskatchewan Premier Scott Moe and Ontario Premier Doug Ford are each challenging the federal carbon tax in court. All current provincial pricing plans — such as British Columbia's and Quebec's — exempt airlines from a carbon tax. But the impending federal tax in provinces that don't put a price on emissions, such as Manitoba and Ontario — where Premier Doug Ford recently scrapped cap-and-trade — are slated to face Ottawa's levy come Jan. 1. That tax starts off at $20 a tonne in 2019 and rises to $50 in 2022. A higher Ontario aviation fuel tax would combine with the carbon tax to drive up the cost of a flight by as much as $45 for a family of four by 2022, the airline council said, citing a study it commissioned. Bergamini said any notions about a carbon tax driving fuel-efficient innovation were "misplaced," with airlines already investing heavily to reduce consumption of fuel — often their biggest expense — through light-weight materials and cargo volume. "We've squeezed about as much blood as we can from that stone," he said. Higher airfares could push more Canadians to U.S. airlines and airports, particularly those near the border in New York state and Washington state, Bergamini said. 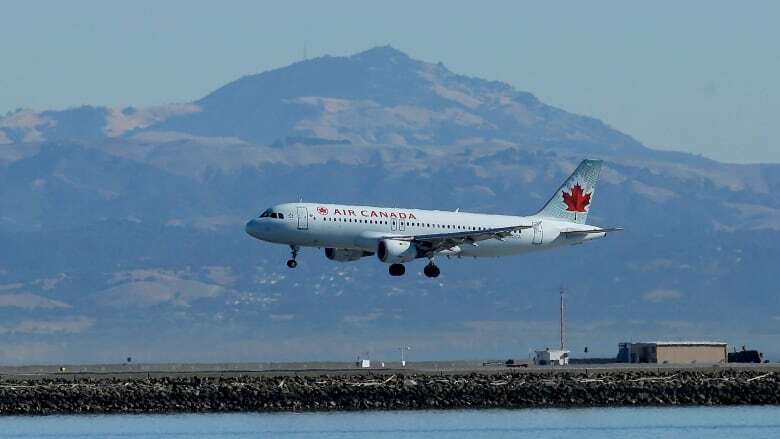 Carriers may have to cut the number of flights on marginal routes in Canada, he added. "This is particularly true in the North and in smaller communities." The airline council is advocating a federal system along the lines of cap-and-trade where carriers could buy credits from other industries that achieve greater emissions reduction. The International Civil Aviation Organization recently adopted a cap-and-trade approach that seeks to keep emissions at 2020 levels. The federal government is set to release details around the levy before the new year, including how it applies to various industries. The office of Environment Minister Catherine McKenna did not immediately respond to requests for comment, but noted details on the tax are forthcoming. The National Airlines Council of Canada represents Air Canada, WestJet Airlines Ltd., Air Transat and Jazz Aviation. The group sent a letter Friday to the ministries of Environment, Transport, and Finance.